Do you need conveyancing services for buying and selling in St Kilda? Fordes offers affordable and streamlined services that result in fuss free property transfer. We are a professional conveyancing and property settlement firm. We operate independently of any banks/financial institutions. Due to being a privately owned company your interests are always put first. As a result of our client first focus, we find our clients come back to us when they need further conveyancing help. Fordes provides services throughout Melbourne and have successfully worked with many clients buying or selling in St Kilda. At every step we ensure our clients meet their legal obligations and all the while protect their rights and interests. Do you know why you need a conveyancer when buying or selling property? Essentially conveyancing is the transfer of title between two parties. Numerous legal documents means a lot of paperwork is involved in the conveyancing process. The paperwork is in every step and as a result needs correct preparation, execution, verification and lodgement. If the bank finds any aspect of the paperwork is incorrect they may not approve final finance. Therefore you could find settlement can be delayed as a result. In addition to delays, these can add thousands of dollars in costs and at worst cause the other party to withdraw. Most noteworthy these examples are just a couple of many intricate processes are part of the conveyancing process. The best of everything is found in St Kilda, from Beach-side living, cafe culture, booming night-life, weekend farmers markets. And housing choices ranging from apartments to stand alone homes in all sizes. The housing stock is one of the most varied found in the inner city suburbs. St Kilda is known for its large art deco style apartments and houses. In addition the these, you find historic mansions, terrace homes and modern style architecture. Culturally St Kilda is number one in Melbourne. The suburb is home to many events, Visit Victoria lists the below – and these are just a handful. -The Palais Theatre – hosting various concert events. Living in St Kilda means you can shop at the farmers market in the morning, eat amazing cake from Acland street in the afternoon, take a late night swim and sip cocktails at midnight. You won’t find a dull moment in this fantastic suburb. 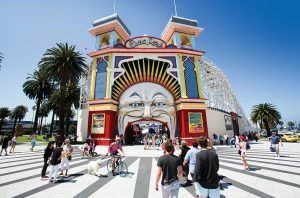 All of these reasons is why St Kilda is always in demand for property. It attracts many young renters, making investors look to this area. The average rent charged in St Kilda is between an average of $400 to $650 for apartments. Buying or selling a home brings with it a lot of legalities. Conveyancing is one legal aspect that whilst its cost is small relative to the property sale amount, if not taken care of correctly it can cost the entire sale. Fordes is a trusted Melbourne conveyancing company. We have dealt with many property transfers in St Kilda, all of which come with their own individual needs. St Kilda often has many properties that involve body corporate contracts, or shared property clauses. Fordes is able to deal with any conveyancing from complex to straightforward. We help with any issues that may arise from title investigations that range in complexity. Our team never cut corners and pride ourselves in offering excellent services at affordable prices. Call us today, we are always available to chat with. Another popular feature we offer is easy quotes and pricing structures. Finally, we cover any conveyancing services needed from straightforward to complex and we do all the work for you.